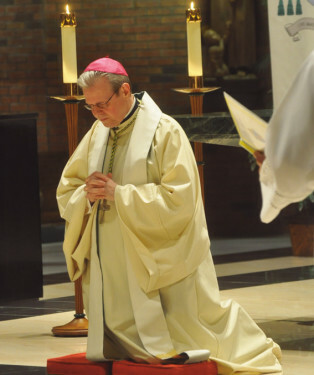 On the eve of his April 10 installation as the 10th Bishop of Albany, Bishop Edward Scharfenberger attended a vespers service led by retired Bishop Howard Hubbard at St. Pius X Church, Loudonville, N.Y. During the ceremony, he took canonical possession of the diocese. 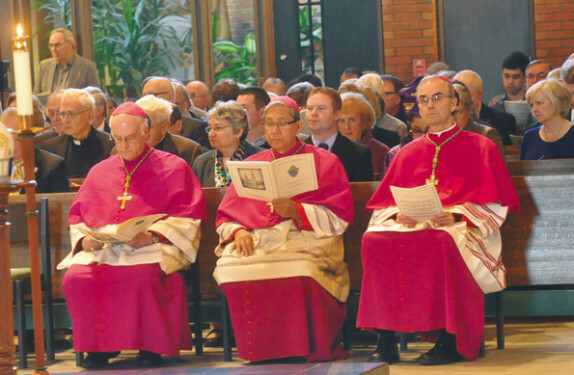 Below, three auxiliary bishops from Brooklyn, Bishops Raymond Chappetto, Octavio Cisneros and Paul Sanchez, were present. 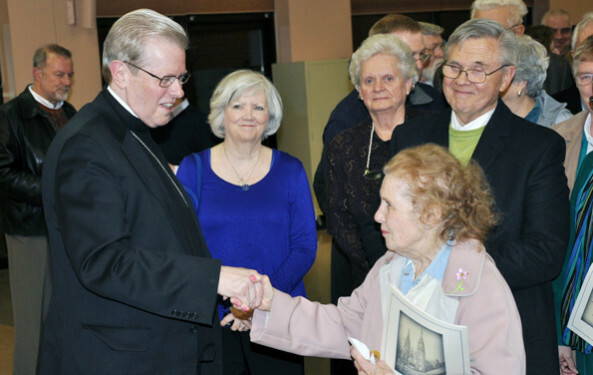 Afterward, a reception was held in the parish hall. 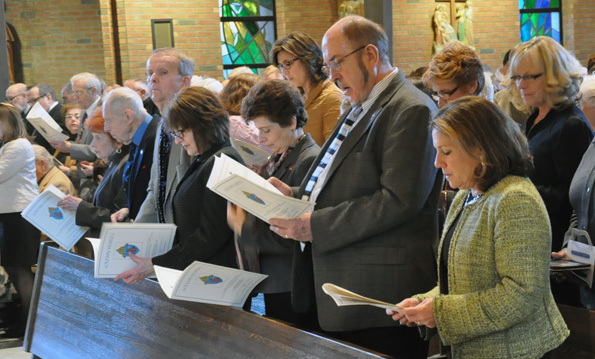 Each parish in the Albany Diocese was invited to participate. 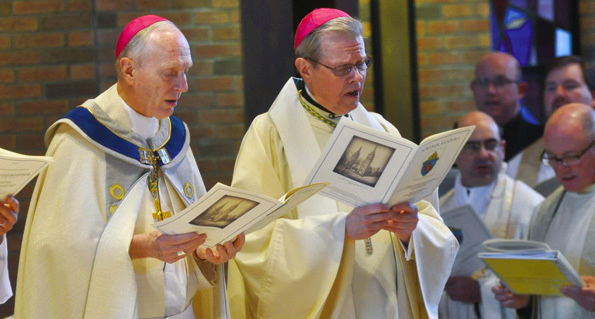 Ordination Eve Vespers Service, St. Pius X Church, Loudonville, N.Y.
Bishop Hubbard, left, led the prayer service. 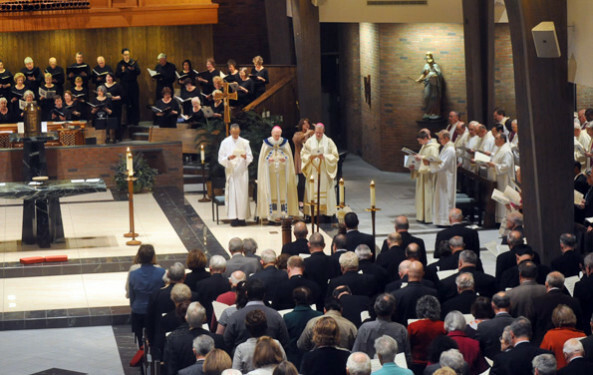 Bishop Scharfenberger's family filled the front pew. 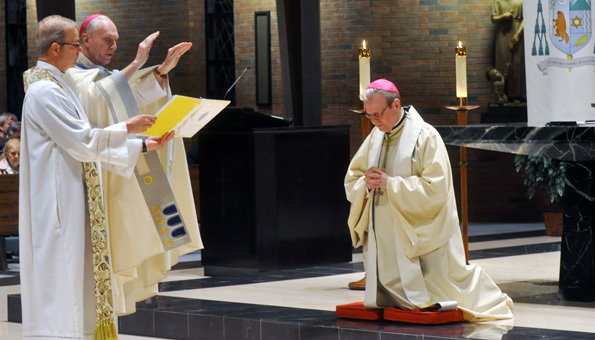 Bishop Hubbard prays over his successor. 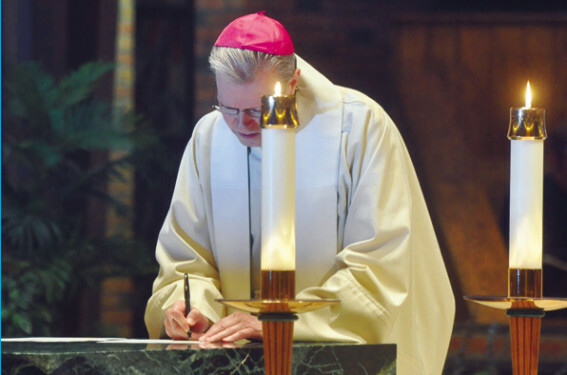 Bishop Scharfenberger takes canonical possession of his diocese. 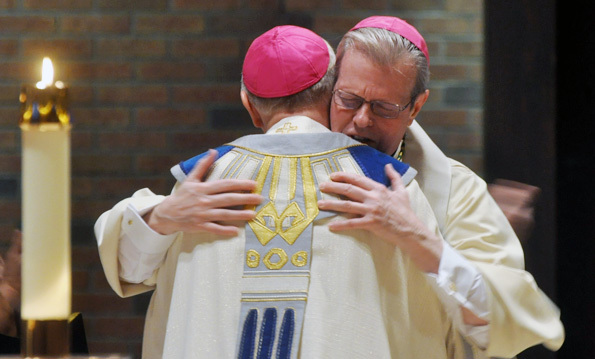 Bishop Hubbard embraces Albany's new bishop. 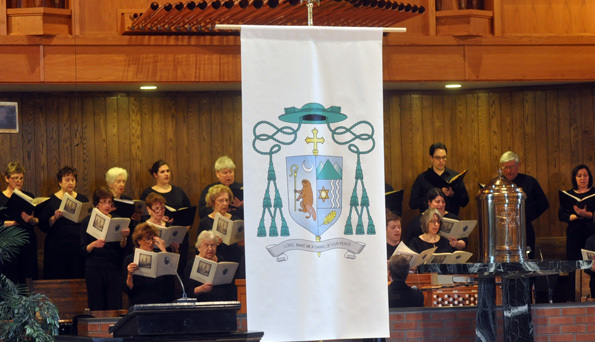 The people of Albany welcome their new shepherd.